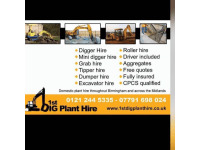 Plant hire throughout Birmingham and across the Midlands. 1st Dig Plant Hire provide plant for domestic work such as landscaping and small builds. 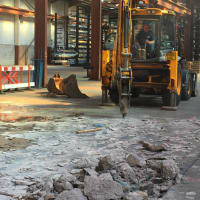 We have a wide range to offer you from mini diggers to tippers and rollers. Whether you need plant for a driveway or extension contact us today.